To have a California driver’s license, you will need to provide some documents and pass a written and road test. The state however, does not require you to have this license unless you will have your permanent residence in the state or will utilize the services of the state which are not granted for non-residents. Having a valid commercial driver’s license from another state will serve as a valid license if you plan to work in this state. The first step to getting your license is to visit the online website of the California DMV and schedule a written exam. You can download the application form online and then submit the original filled out form at the nearest DMV office. You will be required to provide your thumb print, Social Security Card or number, and present your full name. You do not have to bring a photo with you as the office will take your photo in their office. You will be tested for your visual acuity and you need to provide a valid medical certificate before taking the test. The written test has about 36 questions that you will have to pass in order to qualify for the road test. It covers a wide range of subjects ranging from traffic rules and signage to understanding the legal aspects of driving. You can have the test in either a written or audio method depending on your needs. Once you pass this exam, you will be given a CDL permit if it is your first time to apply for a CDL. It is valid for at least 6 months, within which you will be allowed to take the road test. You should study the California CDL Manual in order to pass the written and road test of the state. Passing the road or driving test is important to getting a California commercial driver’s license. You may be able to pass the written test quite easily, but it is the actual driving which is a bit hard to perform. You will be accompanied by the testing official inside the vehicle which you need to supply when you take this test. You will be tested on pre-trip inspection, vehicle maneuvering in different types of traffic conditions, and driving skills. You should also know how to perform emergency and safety procedures. You should supply proofs of vehicle insurance, financial responsibility, and schedule of appointment when you proceed to the testing center. You need to be at least 18 years old when applying for a California commercial driver’s license if you are planning to drive within the state and 21 years old if interstate. You can have an interpreter or a sign language interpreter if you need them. The state will issue a temporary permit after you pass the driving test since your CDL will be released only after 90 days. The driving and written tests have separate fees that you will have to pay at the California DMV and you will have to pay for them one at a time. One cannot work in the State of California as a truck driver without getting a commercial driver’s license (CDL) from the state’s DMV. In getting this license, one needs to first take and pass a written examination. You will receive a practice permit once you pass the written exam and will be allowed to go through your truck driving course and get the needed experience. These will help you prepare for the California CDL test. 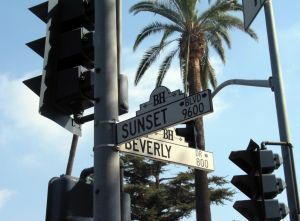 Most driving schools in California have very flexible schedules for the convenience of their students. Depending on the school’s location and other factors, a school can charge $500 to $1,000 more or less than other schools. When you compare the pricing between schools, make sure that you understand why their pricing is set where it is. Try to talk to a school representative about what makes their school or program better than the rest. As a truck driver in California, you’ll have many employers to choose from once you get your CDL. You can choose to work with a company that only operates within the California or try to work with a company that takes you to different states. One of the biggest advantages in working with a company that only operates within the state is that you get to go home more often. Among the different California cities, Sacramento, Los Angeles, San Diego, and San Jose are the biggest truck driving cities. You can submit a CDL training company that is not listed her through our contact form located here. Please include the name of the school, address, and contact details. Truck Driving Schools in Antioch CA are listed below. For more information about how to get your CDL, enrollment requirements, and tuition cost please contact the phone number provided. ATS or American Truck School focuses on teaching drivers to become Class A licensed. Driver who complete their training go to to work in both local and over the road jobs. 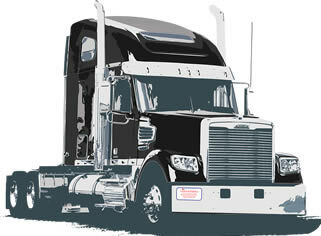 During your class you will learn skills such as defensive driving techniques, safety procedures, and Federal Motor Carrier Safety Regulations for the use of semi-tractor trailers. To be accepted in tot he program applicants must be at least 18 years old, or 21 for interstate operation with a passable DMV record. In addition you will need to pass a drug test, written motor vehicle test and DOT physical exam. The school will help assist every student with the preparation for the permit exam. Financing is also available to qualified individuals. The school also accepts Visa/Mastercard. As of this writing we could locate only one listing for a commercial driving school in the Antioch CA are. If you know of additional CDL schools in this city, please contact us so we can add it to this page. Truck driving schools in Los Angeles provide the basic and important training that you would need in order to gain a commercial driver’s license. Truck driving is now one of the most in-demand jobs in the market due to the growth and expansion of business activities. So if you are looking for a career which would suit your background and which has a stable career opportunity in the future, then becoming a truck driver could be one of your best options. There are a variety of truck driving schools in Los Angeles that you can choose from in order to gain your training. 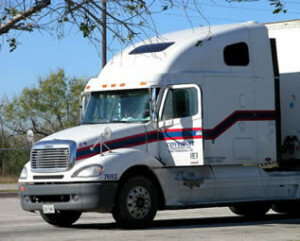 Truck driving schools in Los Angeles usually have a classroom and an actual driving component in their training. These two are both important aspects of the training so that you can successfully pass your CDL examinations. The classroom training includes lectures for a variety of subjects such as trip planning, vehicle inspection, backing, air brakes, and defensive driving. They are all given by an experienced truck driving instructor who can teach you the in’s and out’s when it comes to truck driving. Sometimes the school will be the one to provide you with additional learning materials such as textbooks, manuals and even electronic resources for such subjects. The school can also offer review classes for a particular class if you have not yet fully comprehended the topic. The second aspect of the training is the actual driving behind the wheel. Different schools and programs would offer different number of hours for such driving so you have to be careful in choosing the particular program that you are going to take. It should be able to provide you with sufficient actual driving experience in order to learn truck driving fully. There are three different truck driving schools that can offer you the best training in Los Angeles. You can select from GSF Truck Driving School, Universal Truck Driving School, and TORO School of Truck Driving. These schools offer different training hours and truck driving programs for those who would like to learn. GSF has Commercial Vehicle Pre-Trip Inspection Training, Professional CDL A and B Truck Driver Training, Bus Driver Training, and training for additional endorsements in truck driving such as Double and Triple, Passenger, Tank, Hazardous and Combinations. They also offer Advanced Truck driving classes for those who would like additional and more advanced truck driving techniques. Universal Truck Driving School and TORO School of Truck Driving also offer Class A and Class B CDL training for those who would like to become truck drivers. Their courses will prepare students in acquiring their CDLs even providing truck vehicles without additional fees for their exams. GSF is located at 2900 East Lugo St., Los Angeles; Universal Truck Driving School at 1600 S. Hill St.; and TORO School of Truck Driving is in 321 W. 135th St. You may visit these addresses in order to know more about their offered truck driving courses in the Los Angeles area. If you are wishing to start a truck driving career then Western Truck Driving School can be one of the best options. They are one of the premier truck driving schools in California and they have been serving the state since 1976. Most of the graduates from Western Truck Driving School have become employed to the best motor carriers in the United States and they are well known to produce the best truck drivers on the road. The quality of instruction as well as the importance that they place on their students is the best that there is in the industry. Western Truck Driving School offers several classes for commercial driving license: the Class A or CDL, Class B CDL with Passenger or Bus Endorsement, and Forklift Certification. One can choose from among those courses where he or she would like to specialize in. They also have four different locations where one can go to depending on the location which is most convenient to him. The school makes use of the latest truck models as well as they teach the latest regulations and guidelines imposed by the Federal Motor Carrier authority. They also have the most experienced truck drivers as instructors which ensure that students would learn what they would need to learn when it comes to driving on the road. The Class A CDL course takes 160 hours to finish and is a very comprehensive one which can provide you with various endorsements in the end. The course includes both classroom instruction as well as 120 hours of driving behind the wheel. Subjects that are included in this course are defensive driving, DOT and State rules and regulations, logbooks, trip planning, pre and post-trip inspection, and emergency procedures. The course includes training in actual settings such as city, heavy traffic, and highways. Students would be given sufficient coursework in order to master the course as well as receive proper instructions from experienced truck drivers. The Class B CDL course lasts for 40 hours. The training is aimed at providing students with entry-level skills for commercial truck driving. You can choose day, evening, and weekend classes depending on what would suit your schedule. The school offers a 1:1 ratio of student to instructor which gives the student more chances to learn the course fully. One can also take an additional class for Bus and Passenger Endorsements if he chooses. The course also makes use of the latest truck models for the course as well as provides the student with driving experience in real-life situations in highways and city roads. After finishing a course, the student will be assisted on taking his license. The school will provide sufficient review as well as counseling from instructors on how to take the exam. There will also be a job placement service which will help students apply for work. Students will be taught about how to fill up applications and even obtain pre-hire letters from employers. The school has partnered with several motor carriers and some of them can pay for the student’s tuition fees if they get hired.